MorCo Fresh is a supplier of quality fresh produce to the food service sector which include domestic and international airline caterers, restaurants, global hotel groups and multiple food service outlets across Australia. MorCo Fresh is a wholesale food distributor specialising in daily deliverables of fresh produce. It required a partner that would help optimize its day-today operations and maximise productivity on and off the road. Its objectives were to increase the number of deliveries the trucks could make per day and improve customer service by providing accurate ETSs for deliveries. Another priority was to increase driver safety and mechanical wear on vehicles by reducing fuel and mileage, as well as minimising the number of accidents and infringement notices. There are a number of variables, including weather, traffic congestion and delays from earlier drop offs, that impact on daily deliveries and in turn, produce a cascade effect, which impacts all customers along the entire logistics line. 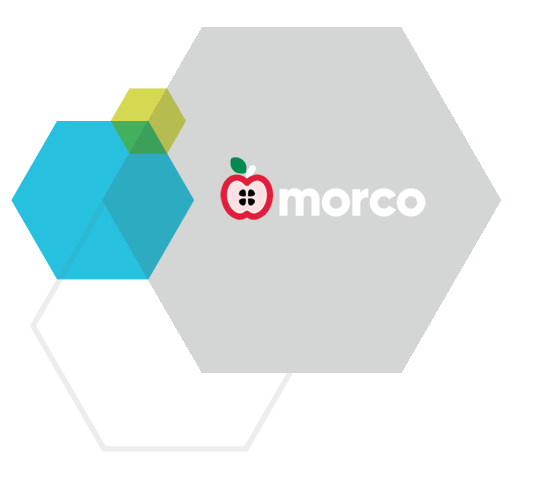 MorCo Fresh needed a solution that would allow greater visibility of its daily driving operations and alert its customers about any changes to delivery times. It also required a system that could provide drivers with information about traffic delays to ensure they could select the fastest route whilst safety and efficiency making their rostered drops. The solution needed to extend to MorCo Fresh’s backend operations to ensure that it could effectively manage its entire fleet of vehicles. Forum Fleet installed a TomTom Telematics tracking solution to provide increased visibility of driving operations to the office staff and accurate driver ETSs to customer. The TomTom Telematics system sends updates every 10 seconds with vehicle locations and timings to provide accurate ETSs for customers looking to track their deliveries without having to call the driver. Forum Fleet installed ECO PLUS units that monitor fuel consumption and allow MorCo Fresh to access accurate data on fuel usage. MorCo Fresh can now pinpoint inefficiencies in its vehicle fuel system. Since TomTom Telematics was first implemented by Forum Fleet in July 2013, MorCo Fresh has seen an average increase in productivity of two additional deliveries per vehicle per day. The office team now has full visibility of the drivers and their pending workloads. The drivers also benefit from TomTom’s intelligent navigation and live traffic information to keep them moving at all times. By using a fleet management solution, MorCo Fresh is able to report and manage its vehicle and driver health and safety requirements, as well as fuel and maintenance costs. By being able to proactively monitor speeding and driving conditions, fuel consumption and maintenance expenditure costs have been significantly reduced across the vehicle fleet. MorCo Fresh initially piloted the TomTom System with three delivery vehicles, however due to program’s success its been rolled out across the entire fleet of ten vehicles. "Having never used a fleet management of telematics solution before, the improvements we've achieved have been significant - both in terms of how we manage our vehicle fleet and service our customer base. Forum Fleet's solutions has given our business a strong competitive edge now we have real-time and historic data to maximise our whole operations. The reports that we receive via email are customised to our requirements and provide our administration staff with accurate data to cross check and manage both driver behaviour and invoicing. My experience with Forum Fleet and TomTom Telematics hardware has been impressive and I look forward to working with them in the future on some of the exciting projects we have on the horizon."